By Ashley Bozeman-Poole, I have lived on the East Coast for 28 years, and I have traveled all over to all major tourist attractions. Everyone that plans a family vacation, should do their research on places to go. This list will help those people and ensure they have the best time. 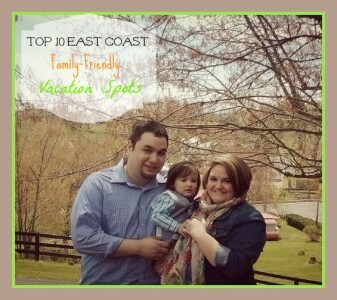 It can be hard to plan a family vacation and not be sure of where to go, or what to do. This list will make sure that you get the best experience. This is beautiful Myrtle Beach, South Carolina. Beatiful places, smiling faces. To the right of the picture, you see the Myrtle Beach Sky Wheel. For just $12 per adult, and only $8 per child, you can experience a beautiful view of the most beautiful place on the East Coast. Once you are finished with the Sky Wheel, you can spend the day on the beautiful beach, rent a cabanna(or bring your own chairs and umbrella) and enjoy the view, for just a fraction of what most vacation/attractions would cost. Spending a day on the beachis the perect way to spend your day(s). Are you an adventure seeking family? Do you love that feeling of adrenaline coming over your body as you look over your shoulder and see the beautiful scenery? The Zip-Line is just for you! At the former site of the historical Myrtle Beach Pavilion, Adrenaline Zip Liner is open for all. There are 2 different adventures you can choose from, and they only cost $25 per time. 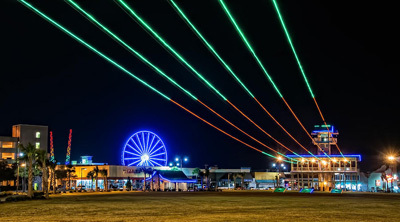 There are other Zip-Line adventures in different locations that offer other packages, but this one is on the boulevard, where all the action of Myrtle Beach goes on! If you really want to get more bang for your buck, then this is the greatest chance to do just that. With a one time purchase of a ticket for Ripleys, Moving 5D Theatre, you can enjoy an all day pass of thrill seeking, virtual reality action! Adult tickets only cost $14.99; and children's tickets are only $9.99 for an all day pass of fun! With the 3d glasses provided when you enter the studio, you will be seated, strapped in. Moving seats, 3d sound, 3d effects, big 3d screen. Be prepared to feel like you are a part of a virtual reality, because it will blow your mind! Ripley's Odditorium is a great place to go if you enjoy all of the oddities that have been recorded through the Guiness World Book of Records. 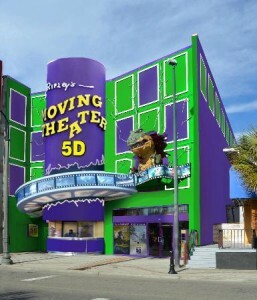 You can purchase a package deal, and get all of the Ripley's Museum action, or you can purchase the tickets for each. 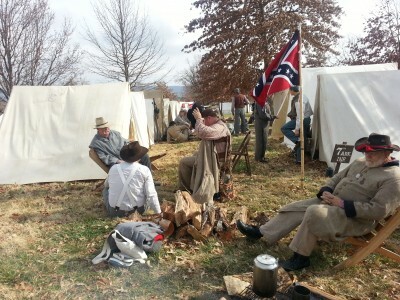 The tickets for adults are $14.99 and for children, $ 9.99. From the tallest man in the world, to the smallest script written on a grain of rice, this place will leave you saying, "Wow!!". Family Kingdom - A family adventure! Are you wanting to make this vacation the very best experience your children/family has ever had? Take them to Family Kingdom. They will love you forever. 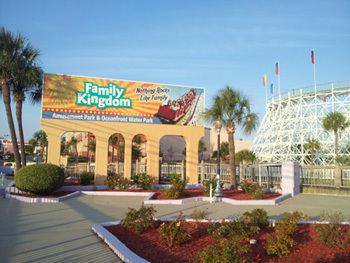 This amusment park is has a waterpark, go-kart tracks, one of the oldest wooden roller coasters "The Swamp Fox", and the Sling Shot Drop zone. You can purchase tickets for everything the park has to offer for only, $36.95 for an all day pass! Or, if you dont want to do the whole package, you can purchase a pass for just the amusment park, or the waterpark/go-kart tracks! 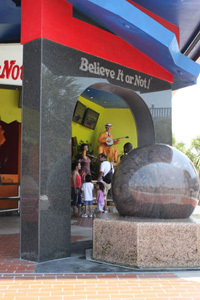 If you want to have a day full of fun with your family, this is the place for you! 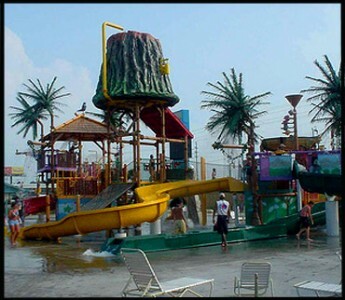 Even though, Myrtle Waves is a seasonal park, if you are planning a summer vacation, this would the perfect chance to enjoy some fun in the sun. You can purchase a seasonal ticket, or you can purchase a one time visit. Group discounts apply for larger groups. 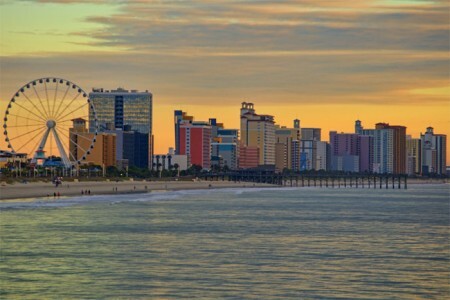 Myrtle Beach, South Carolina, is one of the most beautiful places to vacation. 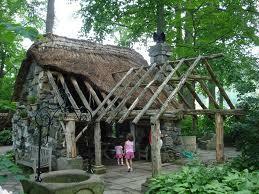 It is one of the biggest tourist attractions in country. There are so many places to go, so many things to do. If you want to enjoy quality time with your significant other, or just be with your family for a few days and enjoy your time together, then Myrtle Beach is your best option. You could even visit the hit TV show, Myrtle Manor, and meet the cast! The opportunties are endless at Myrtle Beach. Myrtle Beach is full of things, people, places. Don't take my word for it, try it for yourself. 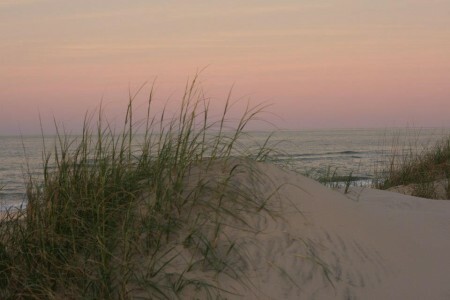 OBX the East Coast Vacation Gem!